The Germans take pride in their efficiency. Many of the supermarkets are cheap and simple. There are no excess workers like baggers and you bring your own bags (or get charged for the bags there). They often will have you deposit a coin in the shopping cart to use it, which is a common European practice, so they don’t have to pay someone to return the carts at the end of the day. There are several different chains based in Germany that go by this formula. Aldi is the most famous supermarket chain that has over 8,000 stores. It is short for “Albrecht Discount,” as it was founded by the brothers Karl and Theo Albrecht. Though they have retired, they are still the richest German men, and make $1.5 billion per year. Aldi is divided into Aldi Nord, based in Essen, which has 2500 stores in Northern and Eastern Germany, while Aldi Sud ,based in Mulheim an der Ruhr, has1600 stores in Western and Southern Germany. 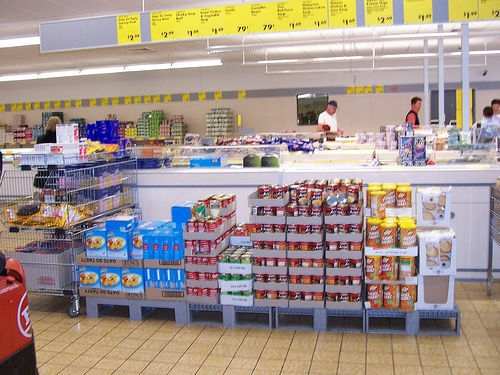 In terms of outsourcing, Aldi Nord operates stores in Denmark, France, Belgium, the Netherlands, Luxembourg, Spain, Portugal and Poland; Aldi Sud operates USA, Ireland, UK, Hungary, Greece, Switzerland, Austria, Slovenia and Australia. An overwhelming majority of German consumers shop at Aldi, including 95% of blue-collar workers. Aldi sells many cheap staple items, like food, beverages and bath products. 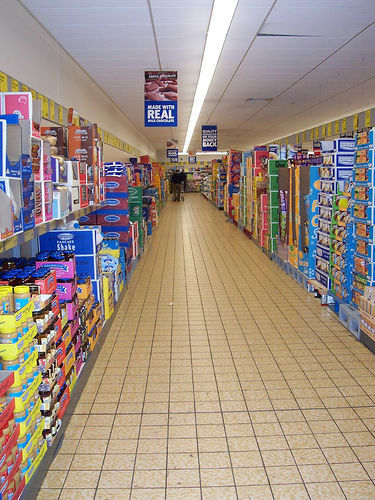 They sell many of their own branded products, and there is usually only one to select from of each product, so the stores are much smaller than average supermarkets. Aldi will not accept manufacturer’s coupons. It is the largest wine seller in Germany. 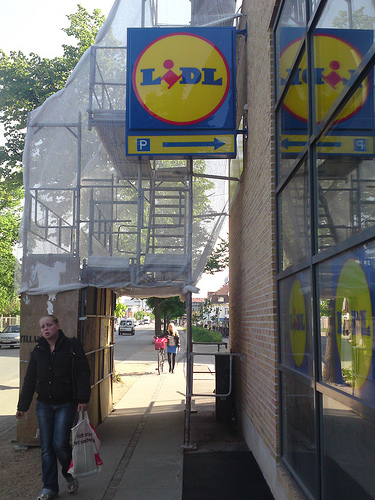 Lidl is Aldi’s main competitor, and it operates in over 17 countries, based out of Neckarsulm, Germany. Lidl used the model of Aldi and opened its first store in 1973, as a highly-efficient, no frills supermarket. Today, they have over 7,000 stores. Their motto is “where quality is cheaper,” and most of their products are food, but there are some toys, pet and household items. Check out their United Kingdom site to see information in English. Plus is another German discount store, and has a very large selection of products. They are based out of Mulheim an der Ruhr. Along with food, they sell discounted cookware, lamps, health products, garden products and pet products. They have stores mainly within German, with 2840 stores there, and 1200 other stores throughout Europe. Penny Markt, or Penny Market, is a very simple discount store that is based out of Cologne, Germany. 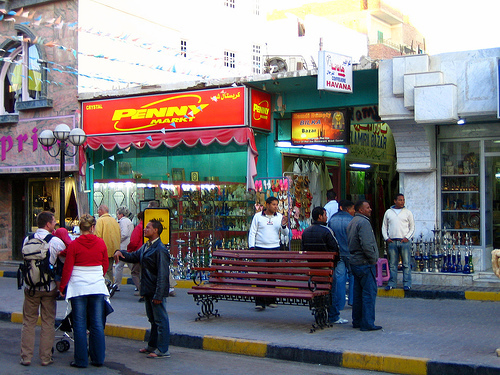 They have 5,000 stores throughout Europe and even in Egypt.